Join us. Get more guests. It's simple really. Guests are searching to book their next holiday - make sure that they find your park quickly and easily. I agree that Caravan Sitefinder can store and process my data. We are committed to providing a service which respects and protects your privacy. + be featured in our mobile app! Boost your listing and drive more guests to your park. Double boost, bring your listing to life. 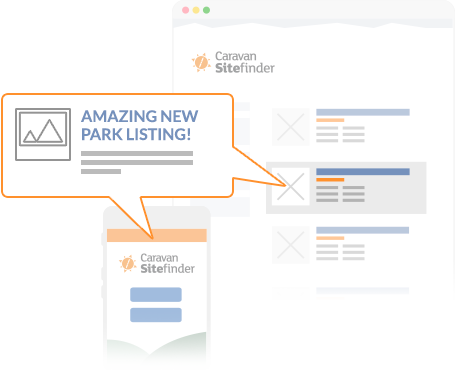 Triple boost your park listing. * Average traffic based on randomised data sample. * Pay for a year and get two months free vs monthly cost. Take your park to the next level - convert our web traffic into your guests. Simple, flexible and friendly - prices are easy to manage. Plays well with others - integrates with park management systems like RMS (coming soon) and Anytime Booking. Save loads of time and hassle - take the payments online too.